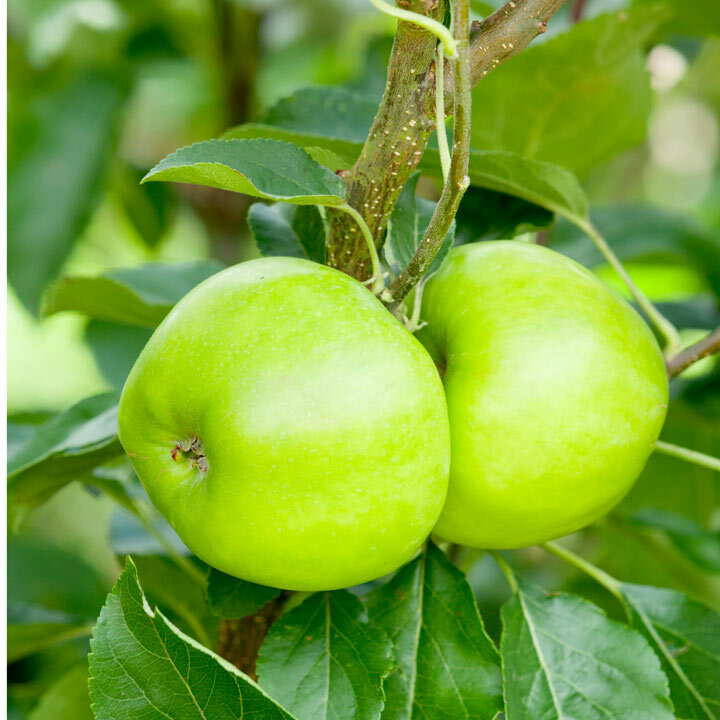 "This cooking apple isn’t just easy to grow, it also keeps its shape when cooked and is sweeter than the majority of other cookers. Introduced by East Malling Research Station in the 1960’s, its quite modern for a cooking apple. I like to let the fruit ripen on the tree, this allows it to sweeten more, meaning you can eat it like a dessert apple too. A perfect dual use apple." Flowering group 3. Harvest September. Height 2-3m. This variety is not self fertile. Grown on M26 rootstock.